Cualli netlācatilizpan īhuān yancuic xihuitl! Or for those of you who don't speak Nahuatl, happy New Year! What better way to usher in the new year than ushering in a new creature from the New World into the battle for Valhalla? And what new creature is that? 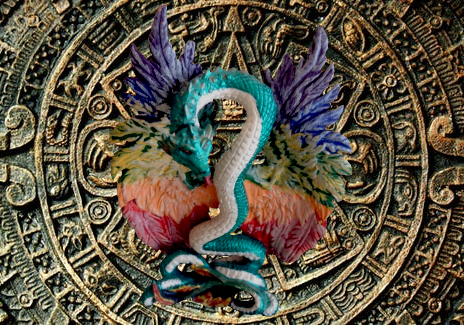 A coatl of course (or couatl if you play D&D). Visit the Contest Thread for more information and details on the fabulous prizes*, and be sure to submit your co[u]atl by January 13! *You guessed it, there are still no prizes. Stop asking.